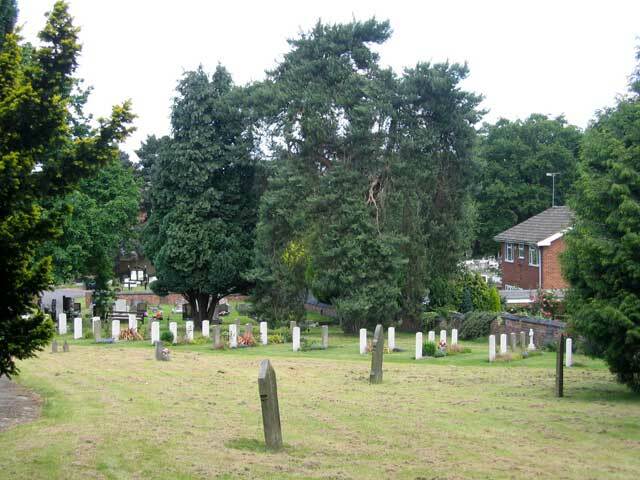 Rugeley Cemetery, Staffordshire contains 53 Commonwealth War Graves from both World Wars. 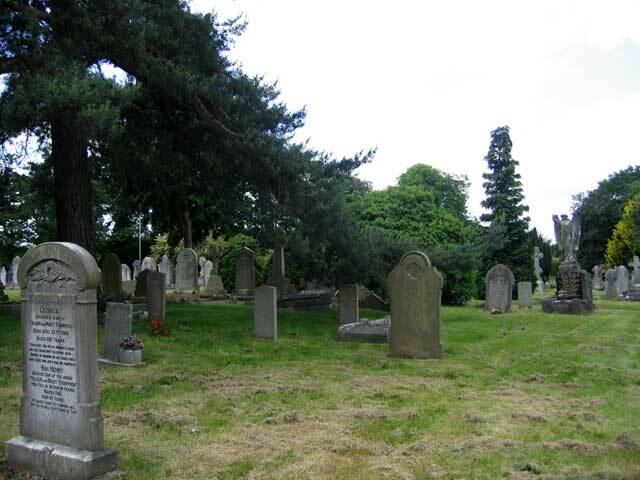 The cemetery adjoins St. Augustine's Churchyard. The majority of the War Graves are in a group and a War Cross is erected at the entrance. Rugeley Camp Military Hospital contained 750 beds. 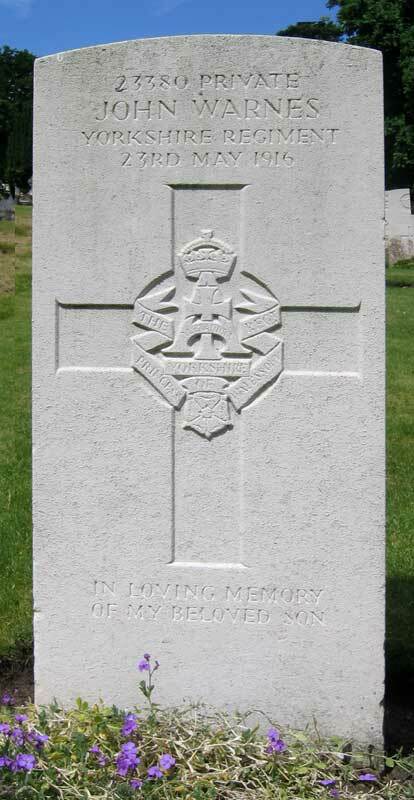 There are three graves for soldiers who served with the Yorkshire Regiment in this cemetery. Select the thumbnail for a larger image. Close the window that opens to return to this page. 15th Battalion the Yorkshire Regiment, attached 10th Bn Training Reserve. Son of Thomas and Betsy Brassington, of 49, Somersal Herbert, Doveridge, Derby. Died 25 March 1917. Aged 18. Born Somersall, Enlisted Bakewell, Resided Somersall. Frederick Brassington died of Cerebro Spinal Fever at Cannock Chase Hospital. There was an epidemic in Rugeley Camp, where he was stationed, at the time. 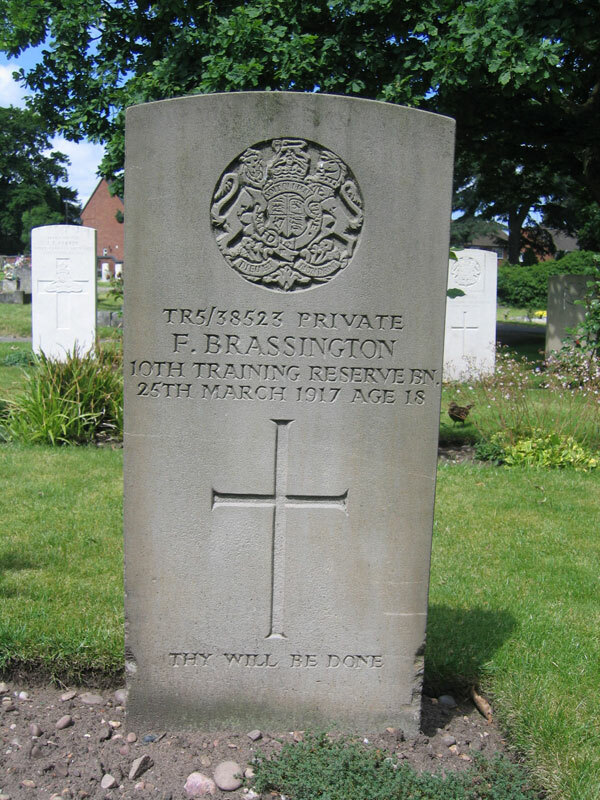 Remarkably, Frederick Brassington had only enlisted on 19 February 1917 (aged 18 years and 2 months). He was one of FIVE Brassington brothers, at least one of whom (Francis J) lost their lives in the First World War. 11th Battalion Yorkshire Regiment. 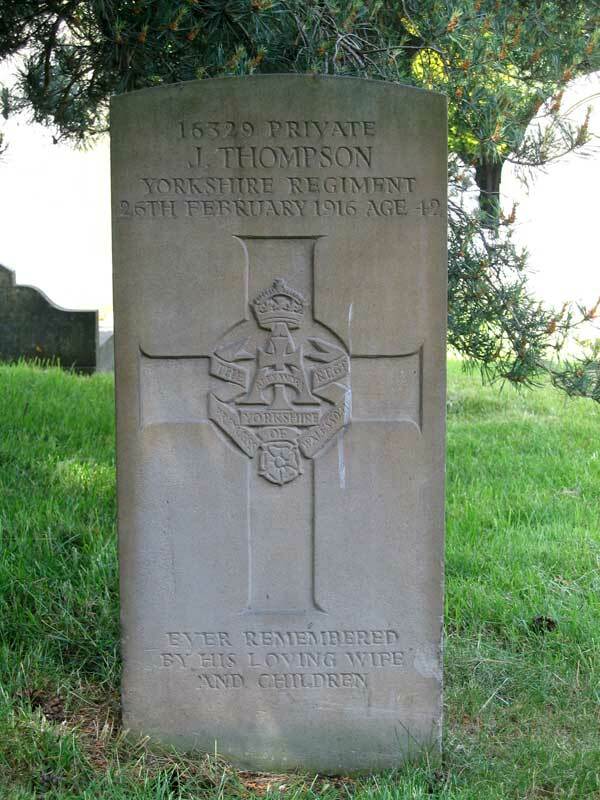 Son of John and Ann Thompson. Died at home 26 February 1916. Aged 42. 15th Battalion Yorkshire Regiment. Son of George and Elizabeth Jane Warnes. Died at home 23 May 1916. Aged 24. SDGW incorrectly states the battalion as being the 13th Battalion. The 15th Battalion was based in Rugeley, Staffs.